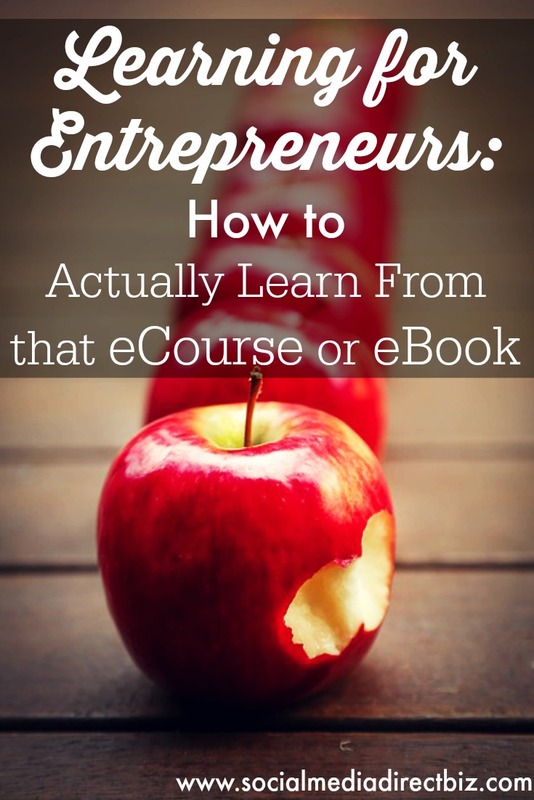 Learning for entrepreneur is one of the most important cogs in the wheel of growth and Prerna and I have also found that eCourses, whether free or paid, or in fact, any other medium of learning like eBooks, webinars are a great way to keep us ahead of the curve. 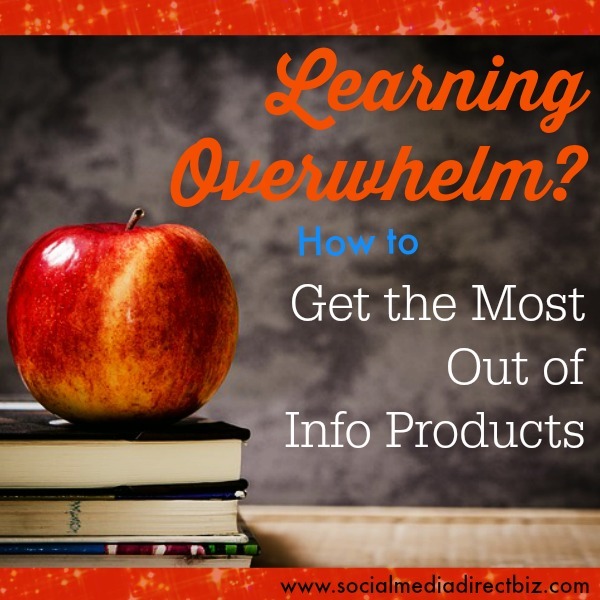 At the same time, we often hear from fellow entrepreneurs that a vast majority of information products- courses, eBooks, checklists that they’ve bought have never even been looked at. A couple of years ago we, too, realized that we were not doing justice to the number of learning aids that we were investing in and it was literally money going down the drain. SO, we came up with a plan to make the most of all the learning we invest in. Our productivity catapults to twice as much when we stick to our work slots and we accomplish so much more in the day. A schedule not only helps you map out what will happen when, it also helps you focus on one task at a time. So, if you’ve set aside 30 minutes to write a blog post then you are less likely to wander off to Facebook in between because you know it will eat into your next work “window”. Also, if you’ve planned a detailed work schedule then you will put aside some time to network on social media and deal with emails so when you’re working on that blog post you can just concentrate on getting it done. We always factor in time for learning in our weekly schedule and, slowly yet steadily, keep making progress on our learning resources. It is extremely important to link your learning to a goal. So, if you want to learn how to use the Power Editor feature for Facebook advertising then you need to know what larger goal will it linking to. Will you be actually using that feature on a regular basis? If no, then it will be better to spend your learning time elsewhere. Without a goal it is nearly impossible to assess and measure what you want to learn and how well have you done it. When we start our learning process, we create a simple word document called “Takeaways from (the name of the course)”. It helps us note down the things we learnt and would want to implement to improve our business/life. It also serves as a great tool to create action items that have to be implemented. For instance, if you took an eCourse on how to create great social content, a Takeaways document will help you go back to all the actionable tips whenever you need to create social media updates, blog posts and more. We have a simple rule of not buying an eCourse, eBook, Training or any other learning resource if we still haven’t finished our last one. It helps us with being accountable for the investment that we made AND ensures we actually invest in the training and not just financially. It also helps YOU avoid two of the greatest “conditions” to affect entrepreneurs – shiny object syndrome and fear of missing out. One of the biggest differences between a great business and a good one is that they implement more. Unless you implement what you’ve learnt from the training in question and then measured progress, all the time and money you invested in it is pretty much…a waste. So, if you did invest in an eBook to boost productivity and even read through it… but then instead of taking the tips to create a schedule, work out a routine, do away with time wasters and more; then buying the eBook wasn’t the best investment of either your money or your time. So, have YOU ever invested in learning resources for your entrepreneurial self but then… let them gather dust on virtual shelves? I am an educator and e-course designer and really like your strategies for the learner. You’ve pinpointed the need for self-accountability and avoiding the notorious shiny object syndrome. I’m going to share this with my peeps and on my Facebook group, E-Learning Rocks! Thanks for your inspiring ideas. You really touched on a very important topic. There are so many free or paid training materials on digital marketing out there that I can spend the rest of my life just reviewing those downloads without doing any actual work on my business 🙂 I own a natural fiber baby clothing business at http://www.junebeebaby.com and digital marketing is the key to my success. However, it’s changing and updating itself so fast that I am struggling to catch up and bring myself up to date on all important items from social medial to best targeting techniques, etc. Your article has been a true wake up call for me. Appreciate all the information you put together. Will follow your tips and see how it goes. Thank you! I am currently working on creating an e-course and like these learning strategies. I will encourage those who may take my course (once it is ready) to keep this mind. Accountable selling is important too. I have very recently ceased buying until I complete the courses I’ve purchased – you know – the ones I simply couldn’t live without!! It feels great to complete the training. When I just “knew” I had a whole bunch of training I hadn’t gone through, or implemented, I felt drained and pulled. Making such a commitment to self feels wonderful.